This post is continuing my research on my architect first cousin twice removed, Ewald Theodore Pape (1894-1976). I was trying to learn what if any training he had obtained as an architect. According to the enlistment form, he joined the infantry for three years, to be served in Hawaii. On this form he once again indicates that he is a draftsman. All the personal information on the form matches what I already knew about him. The only other paper in the file (besides a "Service Record" envelope or cover slip) was his discharge report, below (click image to enlarge it). Apparently he only had to serve one-and-a-half years of his three year commitment. He had been serving as a Private First Class in the Headquarters of the Hawaii Division. He was released from service on July 26, 1922, at Fort McDowell, California. The National Personnel Records Center informed me that Army records from Ewald's years of service were in the area most damaged by the July 1973 fire, and these two records were all that were salvaged. The discharge report above appears to be damaged. (Interestingly, my father's Air Force records are likely damaged by the same fire, but fortunately he already had a lot of copies). With some research (on page 48 of the 1924 Oregana yearbook), I learned that the University of Oregon (based in Eugene), which had a architecture program that early, offered some courses at its Portland Extension Center. I contacted the academic extension office and was ultimately put in contact with Sue Eveland, then the Assistant Vice President for Enrollment Management and University of Oregon Registrar (now retired), who was *most* helpful. You can see his name, Ewald T. Pape (wth something crossed out and the correct middle initial written above it) in the upper left above "Name in Full." For "Home Address," Ewald put "506 Lewis Bldg., Portland." 1. Representation. Study of the laws governing the appearance of form. Freehand perspective. Application of principles to the freehand drawing of objects and nature subjects. Miss Wuest 7:15, Room 301. One hour, fall term. 5. Composition, Pencil, Pen and Ink. Technique of pencil rendering in line and mass treatments. Methods of rendering with pen and ink. Pictorial and decorative compositions. Miss Wuest Thursday 8:15 Room 301. One hour, fall term. Fall term ran from October 2 to December 23. Registration fee was $5 per term." Sue also noted that the Grade Column in the image above has "Inc." for incomplete for these two courses, indicating that perhaps he did not finish them. 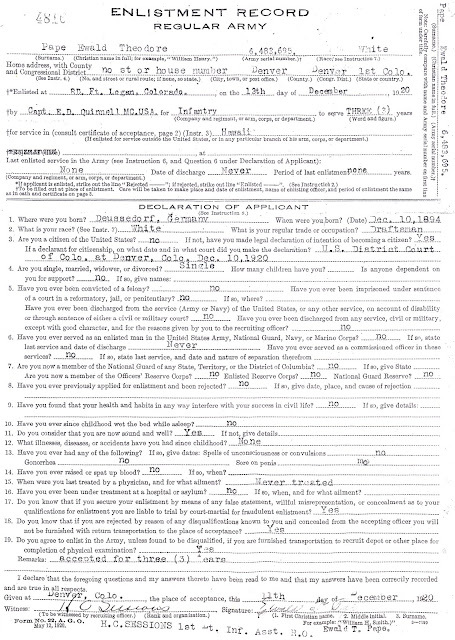 On his November 1923 marriage license application, Ewald states that he is an architect. 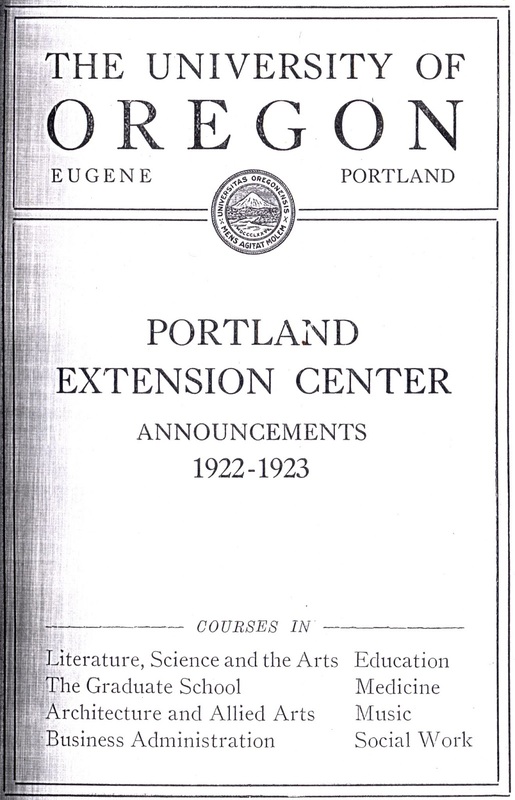 According to Information for license or registration as architect / issued by the Oregon State Board of Architect Examiners, which discusses "Laws Regulating the Practice of Architecture, General Laws of Oregon (Effective May 29, 1919)," you had to pass four days worth of exams, but apparently a degree was not necessary. However, other sources state that Ewald was not a registered architect in Oregon. 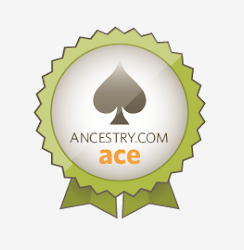 On the 1940 Census, Ewald said he had completed 5+ years of college. He may have gotten most of that training prior to enlisting in the Army in 1920 - perhaps in the Chicago area, or somewhere in Wisconsin. 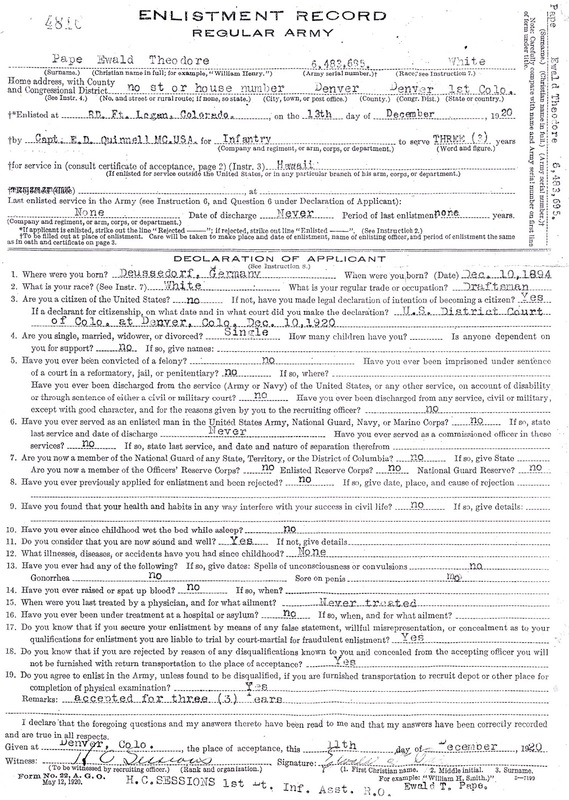 For the 1920 Census, on January 6, 1920, he was living in Port Edwards, Wood County, Wisconsin, with his father Lorenz, brother Karl, and sister Petronella, and working as a laborer on a home farm. However, he may have attended college sometime between his arrival in the United States in late 1913 (at age 19) and early 1920.